ALLI (Advisor Legal Liberty Initiative) has added a Non-Protocol BluePaper resource for the industry. We will be posting the latest Non-Protocol news and tips for advisors seeking to transition out of non-protocol firms. 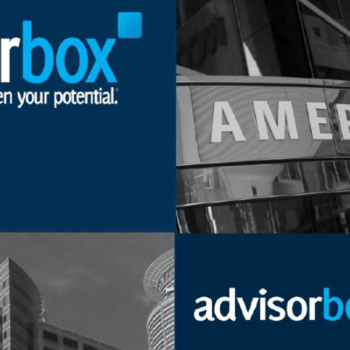 AdvisorHub reported Monday that Morgan Stanley was granted a TRO against one of their departing advisors. This departing advisor obviously did not receive legal counsel (or if he did he didn’t follow it) about how to leave a non-protocol firm. 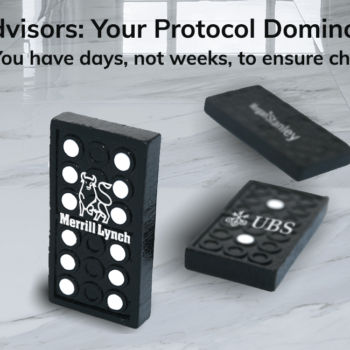 When advisors get careless and don’t take Non-Protocol seriously there will be a TRO price to pay. This former Morgan Stanley advisor, now TRO’d, printed a 14 page of names, cell phone numbers, and email addresses 5 days before departing. He then sent another list of 200 clients and prospects to his personal email the day before he left. He also allegedly had conversations with clients about his plans to move. In addition, the advisor had a joint production arrangement with another advisor. We have pleaded with our readership not to do this. This real-life example would have not only violated Protocol rules but most certainly was a violation of the new Morgan Stanley Non-Protocol rules, which now means there are no more Protocol rules, the employment agreement represents the rules now. Speaking of, when was the last time you looked at your employment agreement? As soon as a Morgan Stanley advisor moves, and now UBS, and soon to be Merrill Lynch, a forensic analysis will be conducted on your emails, computer, CRM entries, calendar, phone logs, printing logs, and all other electronic activities. If you are a Morgan Stanley advisor that feels stuck but wants to leave, having legal consultation about your employment agreement and how to exit properly to minimize the chances of getting a TRO slapped on you shortly after departure is just a smart thing to do. ALLI believes so strongly in the importance of Non-Protocol legal advice we are willing to pay for it. Get legal advice, get a plan and implement a strategy that places you in the most favorable legal position possible when you depart.